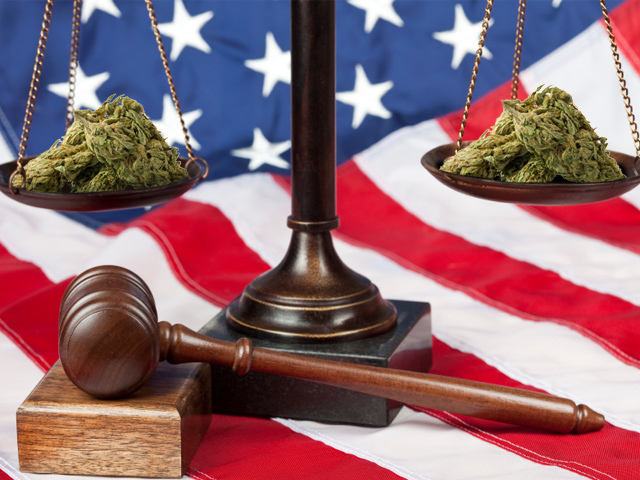 In early June, a 19-member international panel of luminaries called the so-called "war on drugs" a failure, and recommended the United States consider legalizing marijuana in order to better undermine criminal organizations and stop punishing those who "do no harm to others." After 40 years, is war on drugs worth fighting? The bill is not an attempt to legalize pot, the authors insist, but is instead intended to clear up the conflicts between federal and state law that exist throughout the country. As many as 16 states currently allow the use of medical marijuana, an allowance that falls into direct conflict with federal law. According to the MPP: "Rep. Frank's legislation would end state/federal conflicts over marijuana policy, reprioritize federal resources, and provide more room for states to do what is best for their own citizens." While GOP presidential candidate Paul and the very liberal Frank might seem an odd pair, this legislation is right up Paul's libertarian alley, as it focuses on allowing states to do what they want without interference from Washington, D.C. In fact, Rep. Frank himself introduced as many as two marijuana-related bills in 2009 alone, both of which appear to have died in subcommittee and never even been considered for a vote. H.R. 2835 sought to "provide for the medical use of marijuana in accordance with the laws of the various States." H.R. 2943 sought to "eliminate most Federal penalties for possession of marijuana for personal use, and for other purposes." While it is very likely the current piece of marijuana legislation will end up in the same place as Frank's previous two efforts, it is still part of a growing chorus of voices seeking to alter the debate on the war on drugs. With the U.S. spending $15 billion per year on the war on drugs, and with little to no apparent gains made in the last 40 years since it started, theirs will surely not be the last prominent voices to question why marijuana is illegal.